Do you want to experience this? 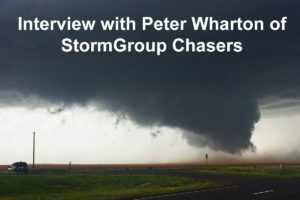 StormGroup Chasers Tour #3 10 May 19th May 28th $2.675 Negotiable! * If you book both seats the price is $1.500 per person // ** Discount is valid with voucher code "STORMCHASINGUSA" only // The content of this table is subject to change and may not be 100% updated and accurate. // Additional discounts may apply. See "Deals & Discounts" section for more information and other deals. What does "Tested & Recommended" mean? 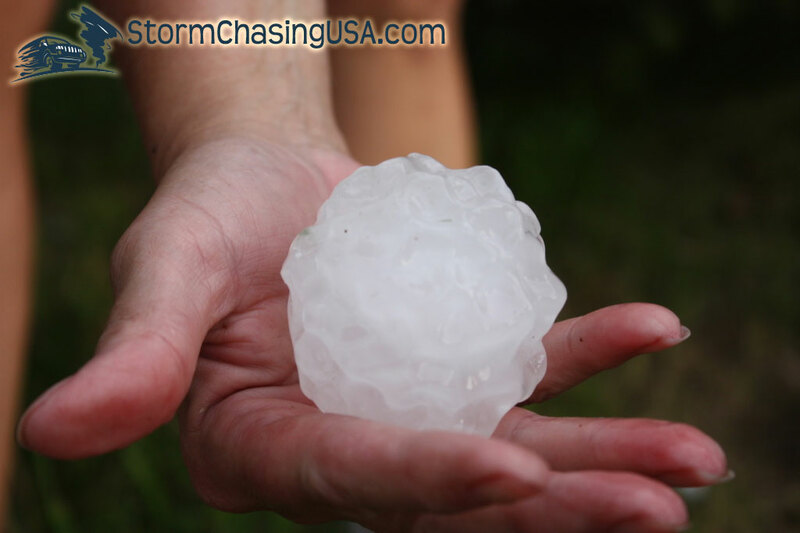 Storm Chasing USA provides you with unbiased information, reviews and comments of storm chasing tours . 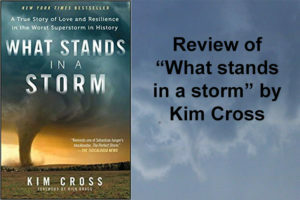 You can easily compare prices, reviews and read experiences from other storm chasing tour guests. 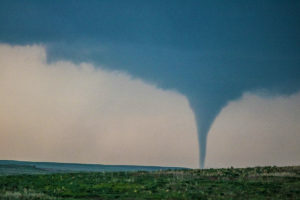 We keep you updated with the latest tours and provide you with lots of articles of things you may need to know before you book your storm chasing tour. Storm chasing (also referred to as tornado chasing tours, tornado safaris or storm safaris) with organized tours is a rapidly growing tourism industry where experienced storm chasers guide adventurers and tourists to amazing severe weather. 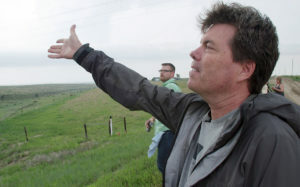 The hunt for tornadoes, super cells, hail, lightning etc goes all over the midwestern states of USA. The tours are usually between 5-10 days in order to maximize your chances of seeing Mother Nature in her worst mood. Storm Chasing usually takes place in the spring, around May-June, but you can go chasing in April and July as well. The tour could take you from the Rocky Mountains in the West to the East coast and from the Mexican border in the South up to the Canadian border in the North. The nature of weather makes it impossible to know where you will be any given day. StormChasingUSA.com will help you towards an experience of a lifetime, that will become truly addicting. 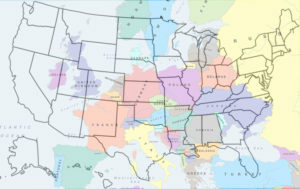 StormChasingUSA.com is not a Tour company, we just provide the information about the tour companies and their tours. If you are new to storm chasing you may want to read up a little bit about what storm chasing really means or why you should go storm chasing in the first place! When you have gotten excited about storm chasing and want to look further into prices, booking etc. 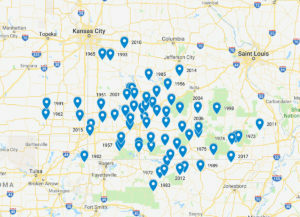 you may want to start by reading what to consider before you book your storm chasing tour and then start looking for storm chasing tours the coming season. Our recommendation is to choose 1-3 tours or tour operators that you believe will be suitable for your needs and look them up further. Compare their prices and offerings and select one. When you have booked a tour make sure you check out our recommended pack list and advices before you book your flight. You are kindly requested to contribute to the material on this site by writing reviews and comments that shed light on the experiences you have had on a tour. 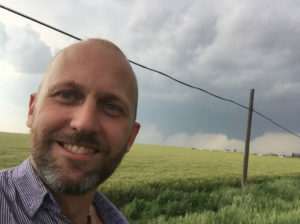 The reviews are an excellent way of telling other storm chasers if you have had a good, or bad, experience with a tour operator. If you want to keep in contact with what is happening in the storm chasing community make sure you sign up for our newsletter (the box in the left column) and read what the storm chasing bloggers are writing. 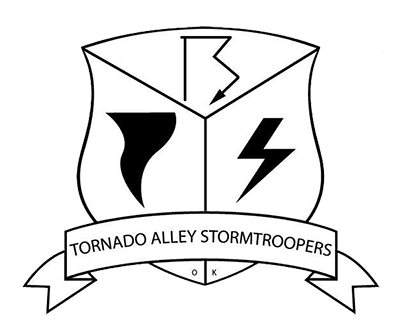 Please join our Facebook-page, read the blog, or follow StormChasingUSA on Twitter. Description: Use the discount code "STORMCHASINGUSA" to get $100 discount on all tours by Storm Chasing Adventure Tours. 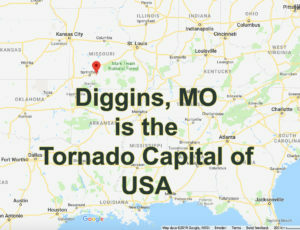 Description: You get a $50 discount on ALL 2019 tours offered by Tempest Tours if you provide the voucher code "STORMCHASINGUSA" on your registration form when you book your tour at https://www.tempesttours.com/storm-chasing-tours/. 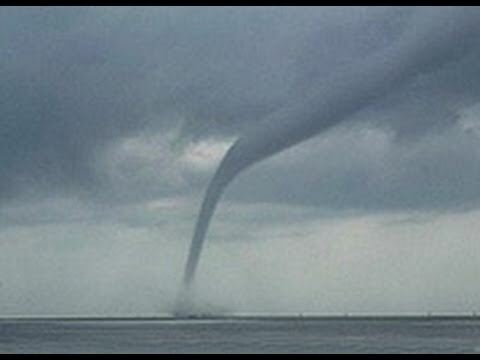 Description: Storm Chasing Adventure Tours have a discounts up to $600 on all remaining tours. 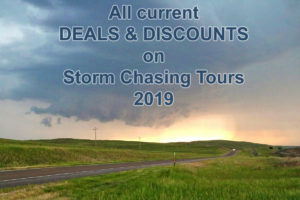 Check out StormChasing.com to see the discount for each tour. Discounts can be combined with the STORMCHASINGUSA voucher code for an additional $100 discount! Description: This discount only applies to Tour 6 and the remaining two seats on it. Save $700 and pay only $1.700. If you book both seats, you get them for $1.500 each! 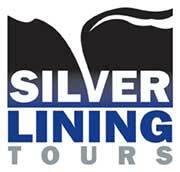 Description: A few re-opened seats due to cancellation are now available for Silver Lining Tours at $400 discount if, and only if, you select "StormChasingUSA" in the dropdown menu "Where did you hear about us" when you book. 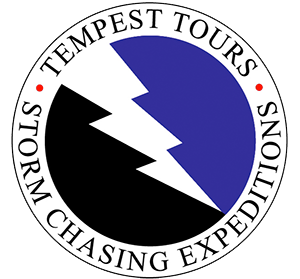 Description: Tempest Tours have only one remaining seat, on the 11 day Tour 3 chase. This seat has a discount of $200 (which can be combined with the "StormChasingUSA" voucher code).